White Guilt: Real or BLM Conspiracy? White people more than 4 generations ago owned slaves. Today, black people trying to bully and steal from the weak are using any tactics that they can to rob, steal, defame, injure or kill those who feel that it is nothing more than whining people too lazy to do what is right in society. 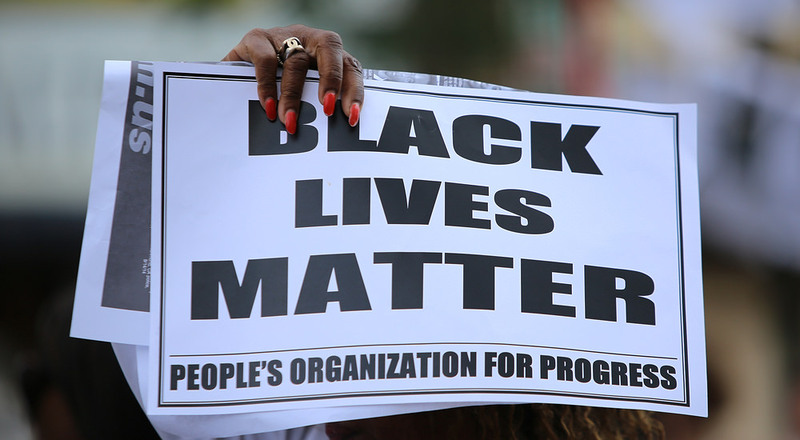 In America today, the violent hate group Black Lives Matter has begun a wild oppression of thought. Many white Americans are falling for the radicalized rhetoric of the “movement”, and a new website has sprung up to prey upon those fears and feelings. “Seattle-based ‘conceptual artist’ Natasha Marin created a website dedicated to inviting ‘people who identify as White to offer contributions or services to People of Color.’ Basically, she’s asking for voluntary reparations, and a lot of people are actually falling for it. The website makes no qualms about its true purpose either, with its inflammatory domain name “reparations.me”. Apparently, waging a war on police wasn’t enough for the soon-to-be-defunct BLM. When will the minority black understand it is not all people, but some people, when will they comprehend it is liberals that have held them down for years? It is not a question of if, or when, but a question of how much the liberals have done to American minority groups. It is all a conspiracy to make the minorities dependent on government so that they “have” to vote for liberals. Look at history. The first hate group against Blacks after the Republicans fought to get civil rights and to stop slavery was the KKK. Amazingly, most do not understand that the KKK was created by and spread by the hateful Democrats, not Republicans, and definitely not Conservatives, who believe in small government, and people deserve their freedom. POC 1: I need a massage. This week. POC2: I need therapy. I can spend $10 a session. POC 5: I need a quiet place to work on _________. POC 7: I want to escape this cruel world in a *Specific Videogame* but can’t afford it on Steam right now. This is not a crisis, I just don’t trust people easily and want to see if this works. White Person 7: Thank you for giving me the chance to do something concrete and relatively easy. I was quietly hating myself for doing nothing. Seriously people, are you that feeble-minded you would fall for others who just want to take you for a ride, use you, and take what you have? If you feel that guilty about something that you had no part in, is just plain personality disorders. Most people with a personality disorder are distressed about their life and have problems with relationships at work or in social situations. Many people also have a mood, anxiety, somatization (see Somatic Symptom Disorder), substance abuse, or eating disorder. Having a personality disorder and one of these other disorders makes people less likely to respond to treatment for the other disorder and thus worsens their prognosis. As a society, we seem to accept that it is our job to take responsibility for our ancestor’s actions and apologize for them. The Germans are still meant to be apologizing for Hitler and WWII. Why? How many of the German’s alive today were there? How many of them believe any of what Hitler said? White people in the US are constantly talking about feeling guilty for the slave trade. Yes, it was horrible. Yes, it wasn’t fair. Yes, there aren’t words to describe how bad it was. But is it my job to take responsibility for it? To shoulder the guilt of the actions of people I don’t know, may not have been related to, and don’t agree with. I don’t understand why it is. SO, back to the issue of BLM using guilt to take advantage of white people, to reason away their crimes, and to give excuses for not working or being a productive person in American society today. People who have done absolutely nothing to hurt anyone are being told that they should feel bad for something their great-great-great-great-granddaddy may or may not have done. This is absolutely unacceptable, and certainly, lacks any resemblance of self-respect or personal responsibility. It is the time that BLM is listed as a homeland terrorist group, its members need to be questioned and imprisoned if they were part of violence or death of others. It is time to go back to the 1930’s and use the mob breaking mentality and stop it with IRS, and judicial means. It is the time that members of BLM understand they are the problem, and they are the outsiders that are causing hate.